This is a rectangular Sherwin-Williams Opex porcelain sign. This particular Sherwin-Williams Opex sign is black with orange and white print. 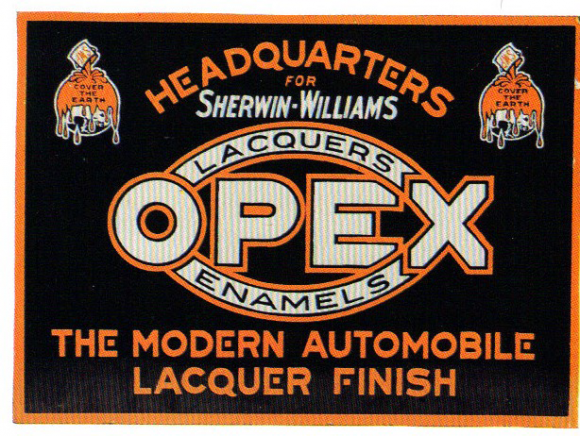 It reads, “Headquarters for Sherwin-Williams Opex Lacquers, Enamels, The Modern Automobile Lacquer Finish” and features the Sherwin-Williams “Cover the Earth” emblems in the upper corners of the sign.